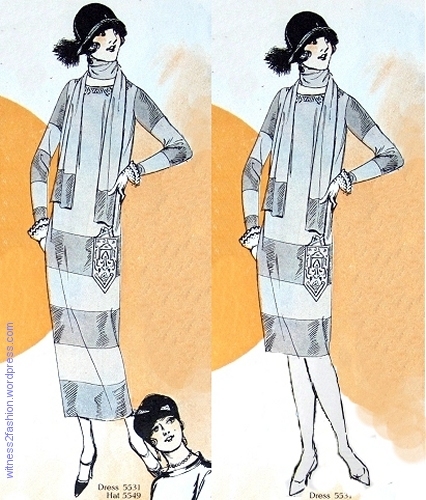 Detail of Camel cigarette ad, Delineator, March 1929. 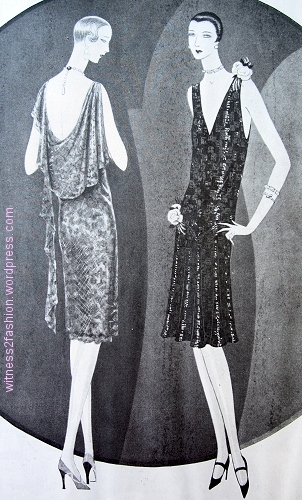 Two dresses from 1924. 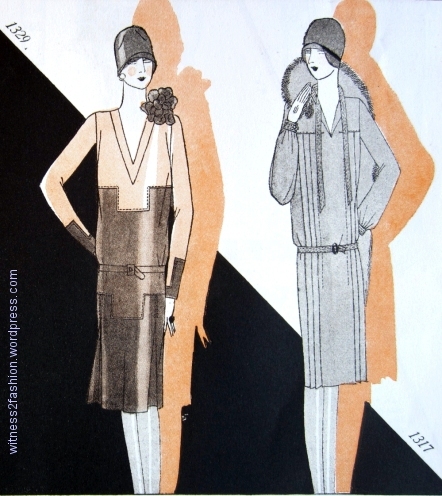 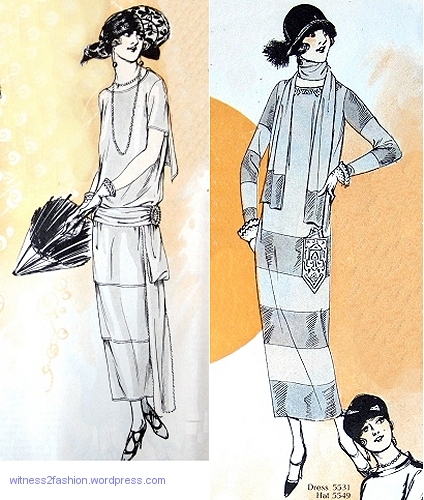 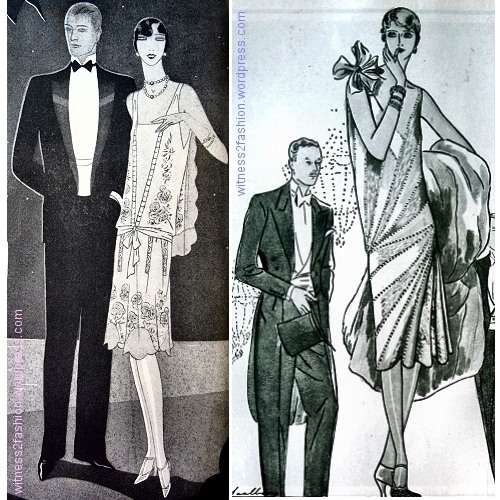 Butterick patterns in Delineator magazine, June 1924 (left) and November 1924, right. 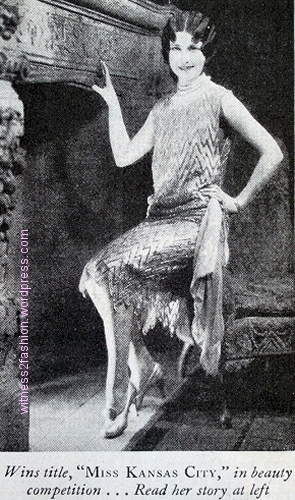 Just over one year later, styles had changed, and not only in length. 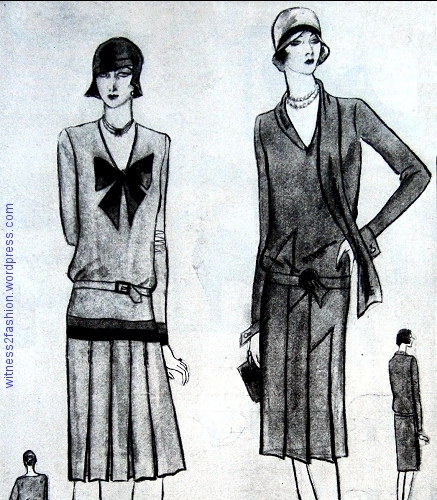 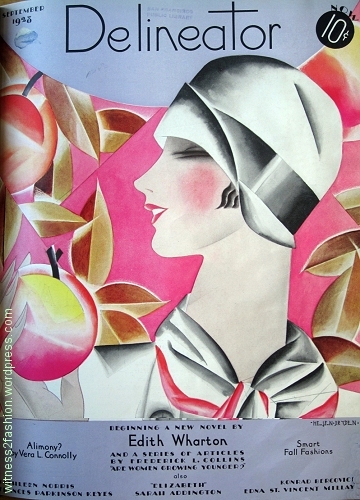 Butterick patterns for December, 1926. 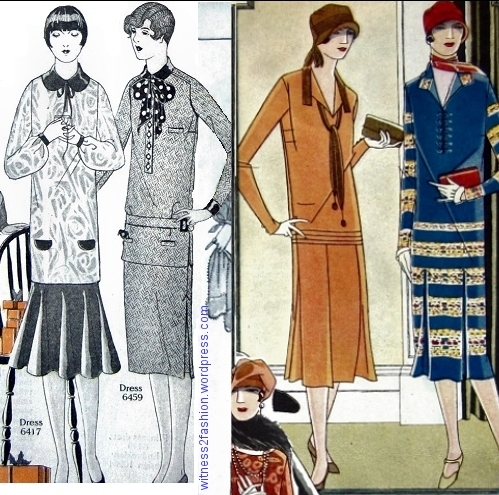 The dresses that were in style in 1924 look very long compared to these “classic” 1920’s fashions. 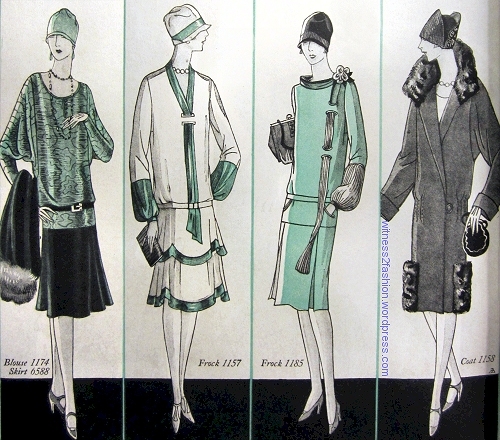 Since I’m interested in everyday fashions, I can’t help wondering how women on a limited budget coped with rapid fashion change. 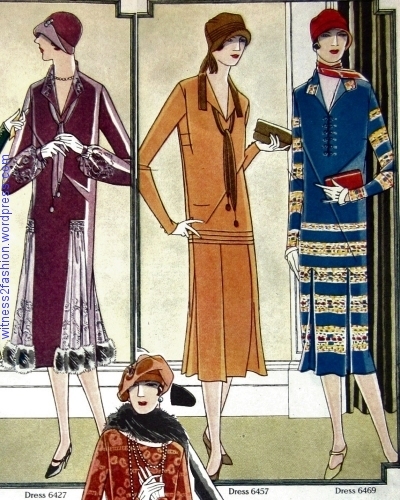 Of course, when you only own five or six dresses, they do wear out faster…. 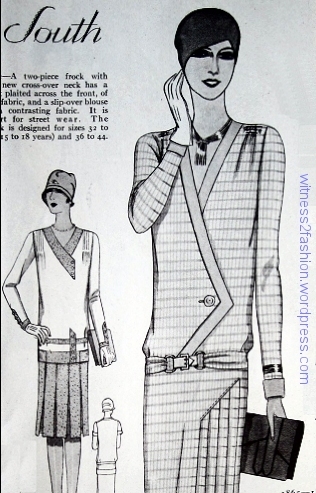 But many women trying to stay in style without buying a whole new wardrobe must have resorted to taking up hems and remaking dresses. 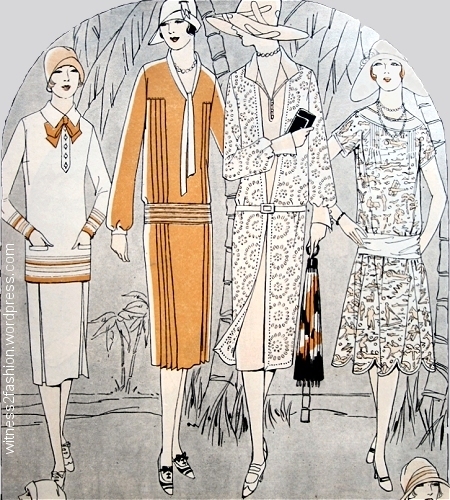 The styles of 1924 would need some alteration not to look old-fashioned, especially on young women. 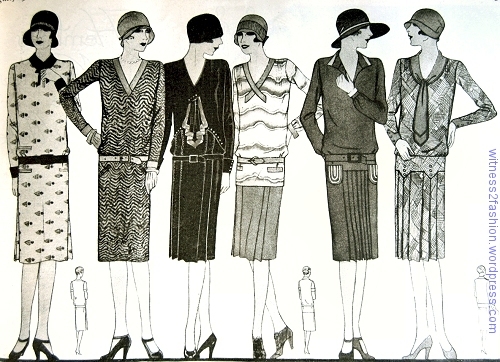 Did women shorten dresses like this? 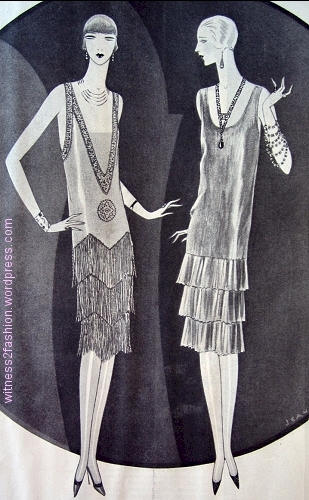 What if this dress from June, 1924, was shortened like this? 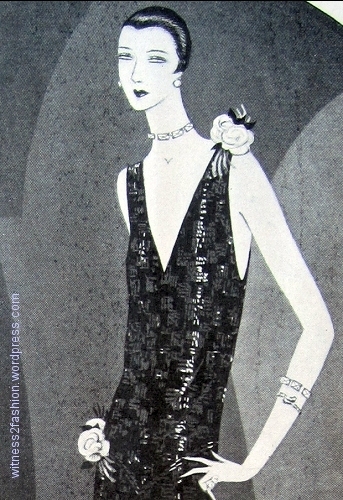 November, 1924 dress, shortened (in my computer) for 1926 or 1927. 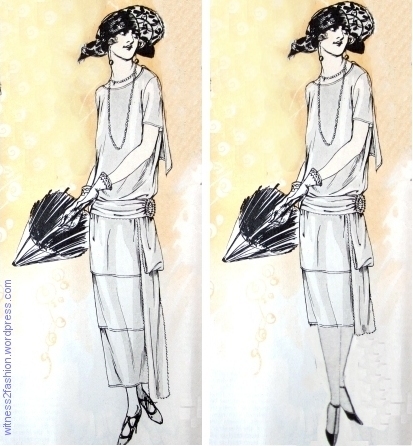 A clever girl would use the old hem fabric to make a hip-level belt, too. 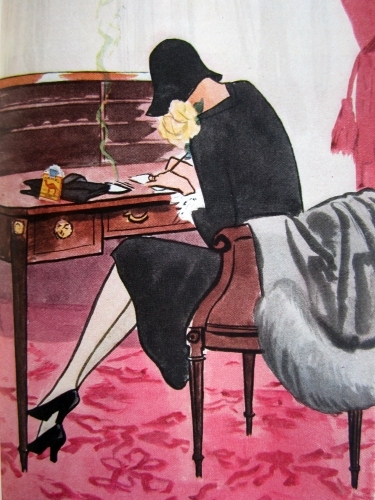 I’ll be writing (at length — sorry!) 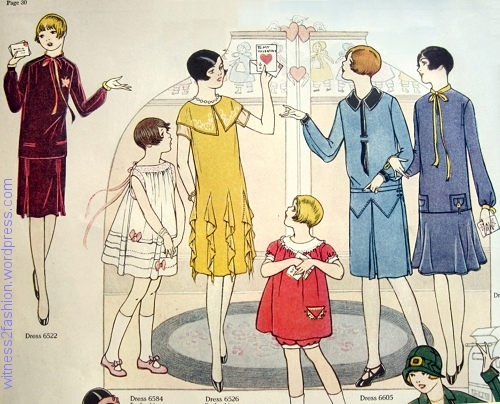 about hems going up — and hems going down — in future posts. 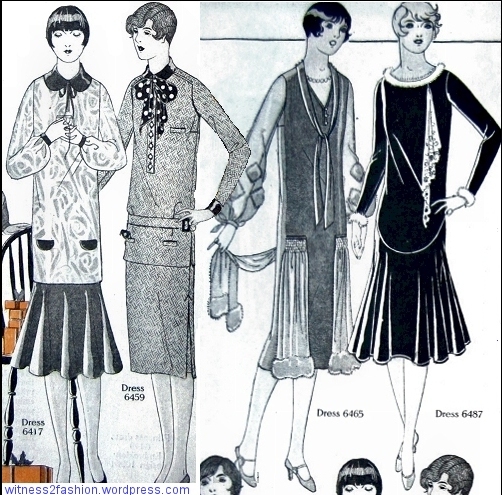 Notice how convenient it was for me to shorten these dresses where they already had a design line? 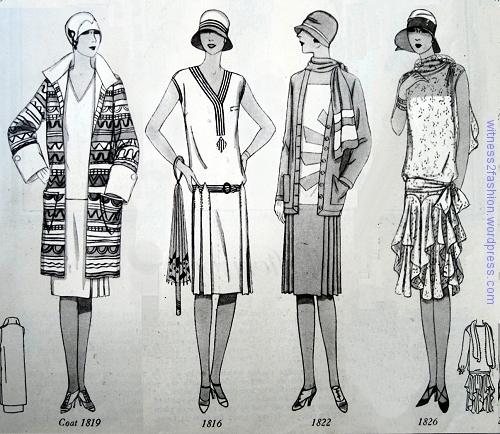 That’s no coincidence…..
Hems had already started down again before 1929. 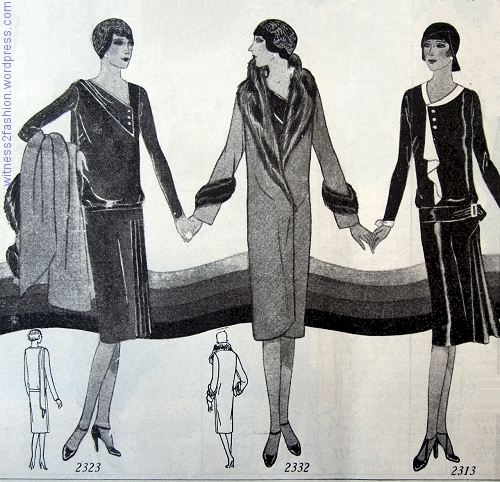 The real problem that fascinates me is how women coped with dresses getting much longer (not such an easy alteration) just when the stock market crashed and unemployment skyrocketed in 1929-1930. 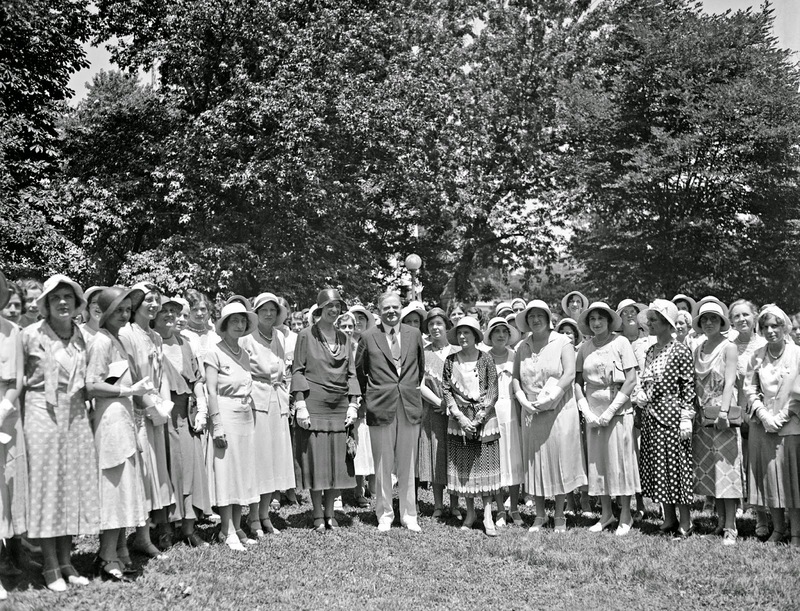 Nevertheless, this photo of a group of women with President Herbert Hoover in 1931 shows that — at least among middle class women — the new hem length was uniform and widely worn.